News of Robert Mugabe's removal comes as MailOnline exclusively revealed that the elderly dictator had gone on hunger strike. One of his close family members confirmed that he was refusing to eat as a strategic ploy. This is coming s after Zimbabwe's ruling party sacked President Robert Mugabe and appointed ex-vice-president Emmerson Mnangagwa as its new leader. 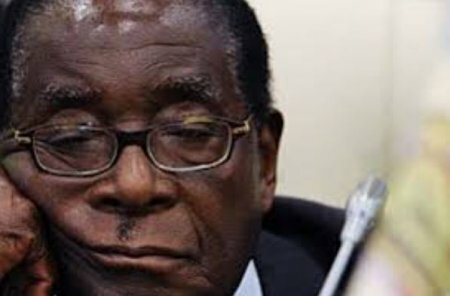 The frail 93-year-old Mugabe has not accepted any food since Saturday, the source revealed told Mailonline, as he continues to be held under house arrest at his Blue Roof mansion. Mugabe on Sunday is set to discuss his exit with army commander Constantino Chiwenga, who put him under the house arrest.